A classic bathroom basin and pedestal manufactured to an original early 20th century design. 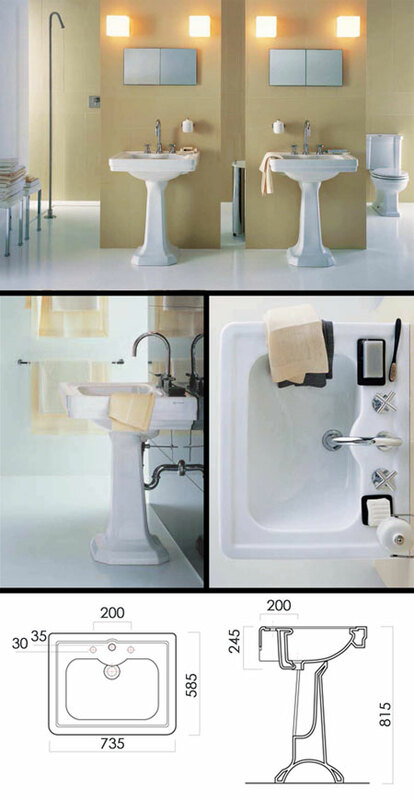 The three piece bathroom tap set shown is available as an optional extra. * Available with 1 or 3 tap holes.